People speak slang when Shani and Rahu are weak. Many time person use slang without any thinking. A person speaks more slang when Shani-Rahu is in negative condition. The person who speaks slang is never able to make progress in life. He faces many problems in home and society. He faces serious disease. 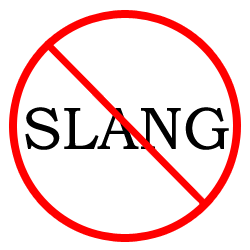 One should avoid the habit of slang. Many time people use slang in front of parents and at religious place. One should avoid this habit. The remedy of planets can be done by doing prayer and changing conduct. A person speaks slang in anger. This happens when Shani and Rahu is weak. A person speaks slang inside when he cannot speak on mouth. Rahu-Mars create too much loss. They start begin to end the relationship. It weakens the social life. This creates blood disorders. It also creates throat and teeth problem. One will go towards lonely. Avoid anger to get rid of slang. Make friendship with decent people. Try to speak good language. Keep parents, sister or children images in front of you when you get anger. Slang language impacts on child. Chant “Om Namah Shivay”. Mix black sesame and milk in water. Offer it on Shivaling. Apply yogurt, as tripund, on forehead before bed. This avoids verbal violence and unrestrained words. This improves relations and avoids enemies. This also avoids stomach and back problem. Avoid having alcohol and non-veg. Hide antimony under land on any Tuesday or Saturday of the month.